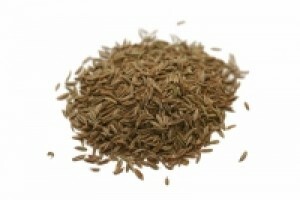 Cumin is one of the most typical Indian spices, especially in the South. The fruits are used as a whole, and are fried (frequently together with onion) or dry-roasted before usage. Legumes, especially lentils, are normally flavored by cumin fried in butter fat. Powdered, it is an important part of curry powder and of panch phoron.